Jacob W. Steen advises and represents businesses, developers, and property owners seeking favorable government approvals including liquor licensing, business licensing, zoning, environmental review, and other ‎regulatory matters. Additionally, Jake has represented clients and industry groups on environmental matters seeking favorable determinations from governmental agencies. 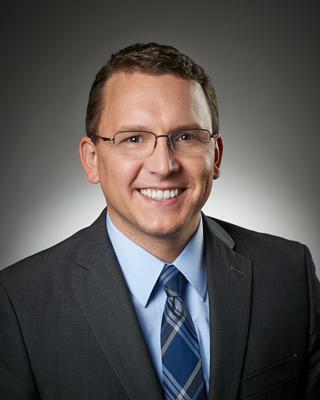 His work includes representation before the Minnesota Department of Natural Resources, the Minnesota Pollution Control Agency, and the Environmental Quality Board with regard to state rulemaking for floodplain and shoreland regulations, environmental review determinations and drafting of model rules and regulations. Jake has broad experience working with federal, state, and local agencies, which he relies upon to identify and craft solutions for his clients. Jake was previously a city planner for the City of Minneapolis where he worked extensively with the crafting and administration of zoning regulations and land use policy. He actively represents clients in performing zoning due diligence, obtaining land use and development approvals for clients and resolving zoning enforcement matters. Zoning due diligence. Performed extensive zoning, permitting, licensing and entitlement due diligence for hundreds of millions of dollars in mixed-use, commercial and residential development projects. Multiple family housing. Represented developers in obtaining zoning approvals for contentious multiple-family housing and mixed-use developments. Conditional use permits. Represented property owners and developers in obtaining conditional use permits to establish a variety of uses, including commercial, mixed-use, medical, light and heavy industrial and self-storage. Lot line disputes. Obtain subdivision and lot line adjustment approvals to resolve a variety of lot line disputes, including, urban, rural and lake-front properties. Sober housing reasonable accommodation. Represented owners and operators of sober housing facilities in obtaining reasonable accommodation from local zoning requirements under the Federal Fair Housing Act, as they relate to spacing, use and number of residents. Comprehensive plan amendments. Represented property owners and tenants to obtain Comprehensive Plan Amendments to permit a variety of uses, including industrial, residential, and commercial uses. Zoning text amendments. Represented a variety of clients to obtain zoning code text amendments relating to use classifications, signage and other provisions of local zoning codes. Zoning enforcement matters. Represented several property and business owners to intervene with local government to obtain relief from zoning enforcement actions and obtain land use approvals. Environmental reviews. Represented clients obtaining land use approvals and in defense against an environmental assessment worksheet petition. Obtain new liquor licenses. Represented several local, national, and international restaurant and hotel operators in liquor licensing-related approvals, including negotiation of interim management agreements and obtaining all necessary permits and liquor licenses. Liquor license violations. Represented liquor license holders in negotiating resolutions of liquor license violations with law enforcement and licensing officials and obtaining renewed approvals of the liquor licenses. Licensed business transition. Represented licensed business owners and operators the new entity in obtaining a liquor license and resolving ongoing liquor license enforcement matters. Obtain new licenses. Represented licensed entities in obtaining new licenses for a variety of licensed activities, including hotels, restaurants, parking facilities and various other uses. License violations. Represented licensed entities in license settlement conferences with governing jurisdictions to resolve license violations and ensure ongoing business operations are not disrupted.